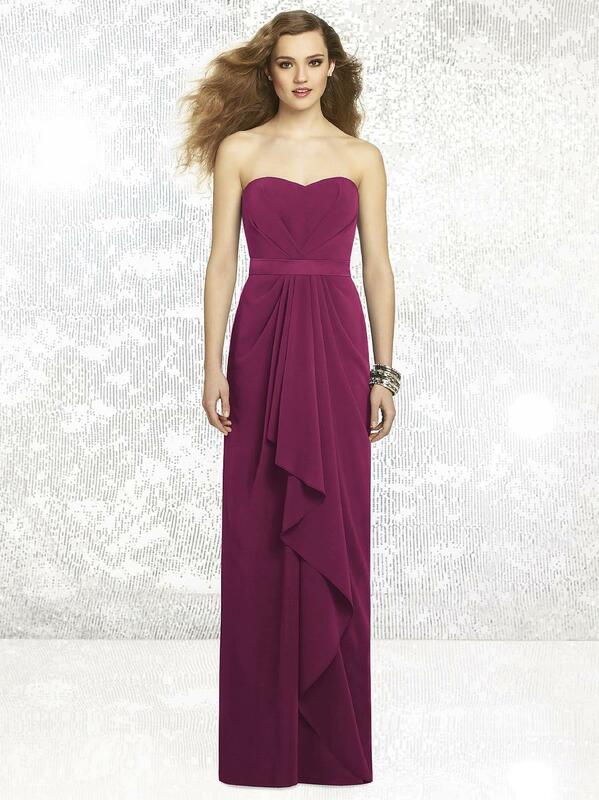 Full length strapless nu-georgette dress w/ pleated detail at bodice and draped skirt w/ hi-low hem. 1.25" matte satin belt always matches dress. Sizes available: 00-30W, and 00-30W Extra Length.